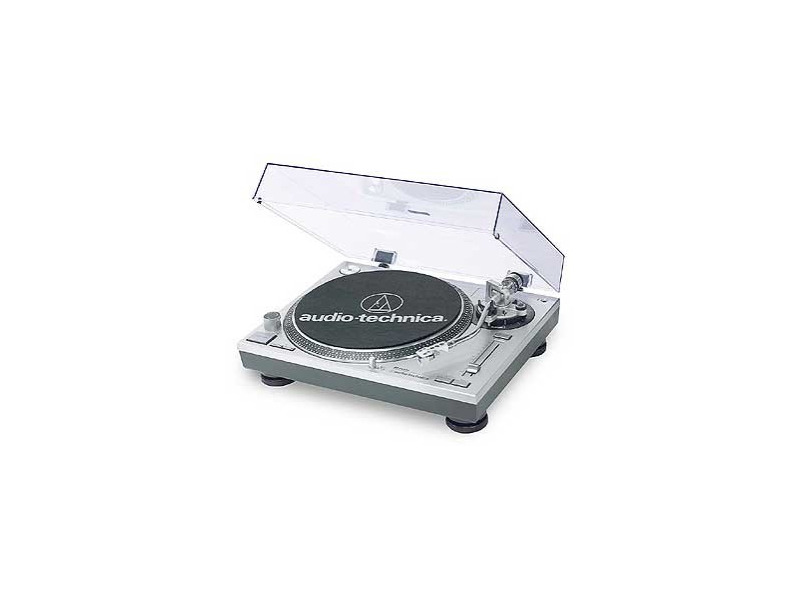 High torque motor and braking Hi-metal S-shaped tone arm Aluminum platter 33/45/78 speed play Built-in pre-amp Pitch control Anti-skate adjustment Forward and reverse play Counterweight adjustment and stylus target light Strobe indicators Includes slip mat, A-T cartridge, headshell and hinged dust cover. It have good sound . A lot of features to use for DJ and any music lover will enjoy. The audio cables are on the short side . I bought the 2015 model and its a total beyond expectation turntable. Awesome to say the least. BestBuy had it for 250 at a "sale" price online. I would advise that a novice or beginner turntable buyer NOT set up this device! Have your dad or uncle familiar with the advanced turntables do the set up and give him a six pack of beer for the effort! It took me 2 hours and I know what I am doing! As a veteran broadcast engineer and audiophile I have found this turntable to be the one of the very best I have ever owned. I was so impressed with it I bought a second TT for my den. I purchased 5 extra cartridge shells to accommodate a variety of carts, including a 78 RPM cartridge. The only thing that might have made this TT even better would have been an auto shut-ott (turn off the motor and lift the cart). But it's OK just the way it is. Otherwise, the AT-PL120 is loaded with DJ-friendly features. It's got a large slider that lets you adjust the playback pitch by ±10% or ±20% — you can toggle between these two ranges with the press of a button. There's also a Quartz Lock button that instantly zeroes out the pitch adjustment, letting DJs achieve seamless track segues by instantly switching from beat-matching mode to perfect pitch. DJ Select tested the AT-PL120 side by side with the Technics SL-1200, widely regarded as the reference turntable for DJs. He was impressed to discover that the response speed of the Audio-Technica's pitch control held its own against the venerated Technics, and noted that he actually preferred the AT-PL120's wider range of pitch adjustment. While the included cartridge isn't designed with scratching in mind, the AT-PL120 is otherwise very well suited for that task. It comes with its own slip mat — another crucial component for scratching — and DJ Select reported that he was pleasantly surprised by how good the mat itself was. He also found that the aluminum platter offered an excellent, very sturdy platform for scratching. The AT-PL120 also offers a pop-up light that illuminates the path of the tonearm across the grooves — handy for cueing up tracks in dimly lit clubs and dance halls. Another feature of potential interest to DJs is the reverse play button, which allows this turntable to play records backwards at any of its three speeds (for further variation, the pitch control can also be employed for reverse play). DJs that specialize in mixing will undoubtedly find the reverse play feature a handy way to blend some very unusual sonic textures into their performances. The build of the AT-PL120 would best be described as moderately sturdy. My apartment, the first floor of an older home with wood floors, presents a pretty serious challenge to turntable stability. I've abandoned several fairly inexpensive turntables because merely walking within ten feet of them caused serious skipping. When I tested the AT-PL120, I found that it was impressively resistant to these sorts of external vibrations, not skipping at all unless the stand on which I'd set it up was bumped directly. DJ Select agreed with me that the build quality was superior to a lot of inexpensive turntables, but added that the build can't really compare to the famously sturdy design of the Technics SL-1200. (To be fair, it should be noted that the Audio-Technica turntable costs about 60% of what the Technics goes for.) The base is constructed of plastic, with a heavy sheet of metal inside that supplies weight but not true stability. For situations where there is a lot of vibration — very typical of such common DJ scenarios as raves and frat parties — a DJ may have to use some additional means of isolating this turntable to prevent hum and feedback (many DJs employ a turntable case that is specially constructed to absorb external vibrations). Even if the turntable itself is completely isolated, however, merely tapping on the base will create audible noise in the output. I played a variety of records on the AT-PL120, and was pleasantly surprised to find that it handled every genre in my collection with aplomb. I tried a number of different jazz records — ranging from the astringent free jazz of Ornette Coleman’s This Is Our Music to the richly layered harmonic palettes of Duke Ellington’s early 40's classics — and was pleasantly surprised at how good each one sounded. Undercurrent, an album of duets between pianist Bill Evans and guitarist Jim Hall, sounded especially gorgeous. In this case, I was able to compare the LP to a CD version of the same album. The CD had slightly better definition, but sounded thin and brittle when compared to the fuller, warmer, more intimate sound of the LP. When I sampled the spectrum of pop and rock albums in my collection, the AT-PL120 demonstrated similar versatility. The textured layers of strings and brass that slowly build over the course of John Cale’s Paris 1919 were recreated with precision and a palpable sense of depth. Switching gears, I next sampled the bracing (but surprisingly well-recorded) art-punk of Pere Ubu's The Modern Dance, and was knocked out by what I heard. This album is a series of sonic maelstroms, with siren-raid synthesizers blasting aural shrapnel across the upper end and massive, monstrously propulsive bass lines anchoring the bottom. The AT-PL120 brought each track to life with visceral punch and a convincingly three-dimensional soundstage. A contributor to the great sound of this turntable is undoubtedly its phono cartridge, Audio-Technica’s ATP-2. This is a significantly nicer cartridge than you’ll find included with most turntables in this price range (many turntables don’t even include a cartridge at all). As a bonus for DJs, this cartridge uses an elliptical stylus that's capable of playing records both forward and backward. Many needles aren’t designed for backward play and you’ll damage both your needle and your album if you “back up” a track in cueing it up for play. However, what makes a good playback cartridge doesn't always make a good cartridge for the popular DJ practice of "scratching." I spoke with DJ Select, a professional DJ who had also tried out the AT-PL120. He found that, using the ATP-2 cartridge, he needed to set the tracking force at 5 grams in order to prevent frequent skipping. At such a high tracking force, scratching will tear up both the needle and the grooves of the record. However, DJ Select noted that cartridges designed specifically for scratching are relatively cheap, and for straight playback of LPs can't compare to the ATP-2's fine sound. The AT-PL120's pitch control offers impressively speedy response, and gives you the choice of ±10% or ±20% speed adjustment.